Back in October, Twitter started making some major cuts to try to minimize costs. It laid off around 9% of its workforce and announced that it would be discontinuing its Vine mobile app. Users of the popular program promptly lost their minds, and many companies started mulling over the possibility that they might pick up Vine and revive it. However, Twitter has managed to hold onto the mobile app and has announced that it will be releasing a pared-down version called Vine Camera in January. The new camera app will still allow users to post their six-second videos to Twitter or save them on their devices, and Twitter has said that it will be making it easier to follow your favorite content creators on its social media platform. “Thank you for the culture that you have helped shape, and for the content you’ll continue to make everywhere. You make the world a funnier, weirder, richer, more beautiful place,” the Twitter and Vine teams said in a post. In an FAQ section about the update, the teams mention that the when the new app goes live, the original Vine app will effectively be dead in the water. “The Vine Camera will allow you to make 6.5 second looping videos and post them to Twitter, or save them to your camera roll in a logged out state. You will not be able to do any of the other things you can currently do with the Vine app. 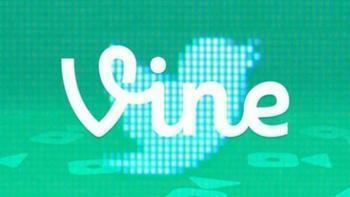 Once the Vine Camera is live, you will no longer be able to download your Vines from the app,” officials said. However, all the Vine content that has been made over the years isn’t going to suddenly vanish. The Vine website will soon be transitioned into an archive of videos that can be browsed through or downloaded. Users of the mobile app can also download videos until the transition date in January. All Vine files will include an index.html file that contains information like captions, likes, comments, and revines. For those of you who want to keep tabs on your favorite content creators, the Vine and Twitter teams are rolling out a “Follow on Twitter” feature that will be made available soon. “We’ll notify you through the app when this feature is available. We hope this will help you grow your audience on Twitter and continue making and sharing videos there,” the teams said.